Pretty tourist using smart phone to video call family, waving to friends at home. Young woman video calling people at home whilst on holiday in British location having fun. 4k00:20Portrait of pretty tourist taking selfie photo in British location. Woman using smart phone and being silly on social media. Young student enjoying summer in England UK near red phone box. 4k00:16Portrait of pretty tourist taking selfie photo in British location. Woman using smart phone and being silly on social media. Young student enjoying summer in England UK near red phone box. 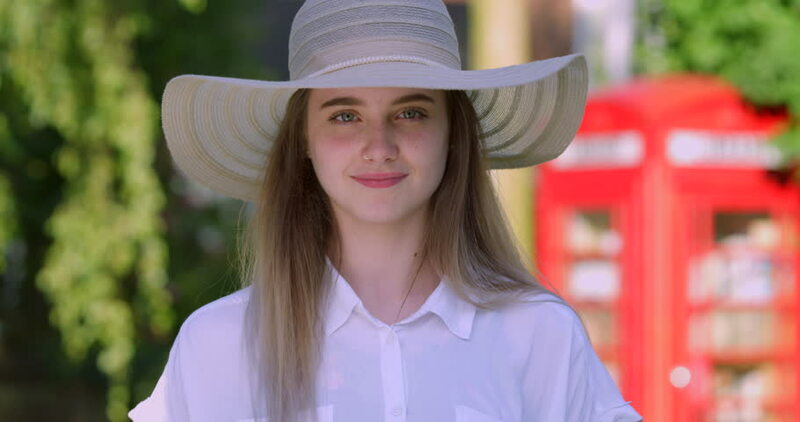 4k00:21Portrait of Blonde Teen Girl in Hat Waving at Smart Touch Phone and Smiling on web video call to family. Young Pretty Smiling Boho Woman with Long Hair, Green eyes and Freckles. City Summer Holiday. 4k00:34Young Pretty Blonde Woman Splashing in Sea Waves in Spain. Happy Girl Swimming in Blue Ocean on Spanish Sunshine Beach. Palma De Mallorca. Having Fun in the Sea in the Sunshine. 4k00:07Young Woman Running on City Spanish Street. Active Girl Jogging in Fitness Wear on Quiet Sunlit Road in the Morning. Health and Wellness Female Exercising Outdoors.